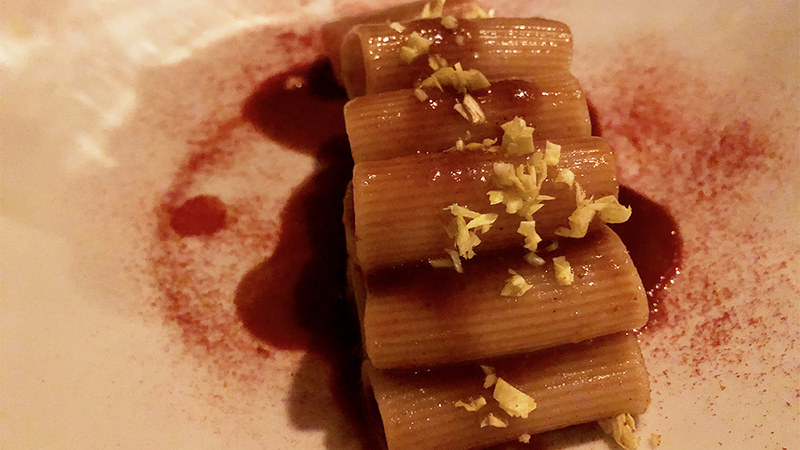 The Corner Townhouse is one of the many recently born Rome restaurants that are popular with the “in” crowd, but The Corner has potential to stick around thanks to its inventive food, decent wine list and a beautiful dining room. The Corner is a restaurant, small hotel de charme and cocktail bar in Rome’s upscale Aventino area. The beautiful dining room is a cross between an Art Deco greenhouse and a Soho loft. The outside terrace area is also very pretty as is the cocktail bar, both ideal spots for early evening or late night drinks as well as lunch and dinner when weather permits. It helps to have young Marco Martini as head chef. A native of Rome who trained with the likes of Antonello Colonna, Heinz Beck and Tom Aikens, Martini distinguished himself previously in two Rome restaurants of note (one of the two, Stazione di Posta, was especially good) with a cuisine based local ingredients and old, traditional recipes reworked in innovative ways. The Corner has considerable underlying potential and should it be able to fix a few of the things that still leave a little to be desired. With that, The Corner Townhouse might have a chance to become a Rome dining fixture. So, what works? The place is gorgeous. I, along with my friends, have had countless dining experiences ruined by obnoxiously loud dining rooms. The “That’s just New York or San Francisco” excuse doesn’t cut it, at least not at the prices being charged these days for food and wine in top end establishments. Some of The Corner’s dishes are remarkably inventive and tasty. 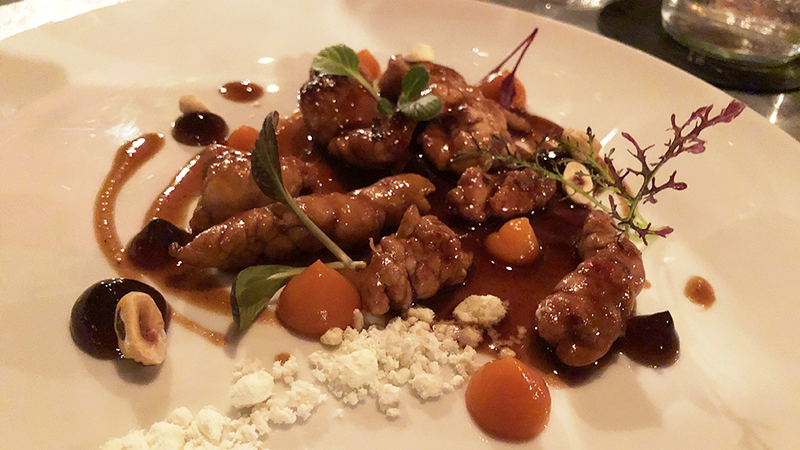 On this night, the sweetbreads, chinotto and carrots; the penne, cream, salmon and vodka; and the lamb, Jerusalem artichoke, barley and hay were standouts worth going back for. 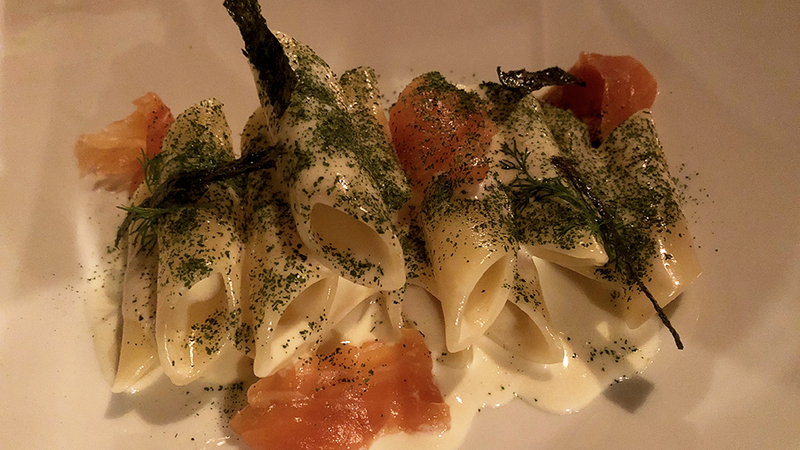 I especially enjoyed the penne, cream, salmon and vodka pasta, a throwback to the golden 1980s in Italian food - a less than noble dish redolent in cream and bacon in its original yuppie version, it is a remarkably unhealthy yet satisfying dish that is hard to stop eating once you get started. Why is it that all the really good things in life are bad for you?. 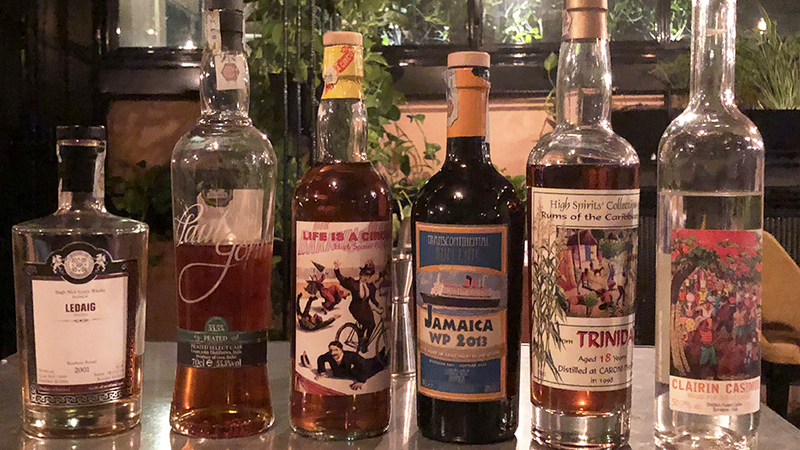 The selection of spirits and the bartender who comes to your table to explain them to you is also a nice touch, as is the opportunity to taste through several small flights of different, high quality Single Malts and Rums at meal’s end. The things that don’t work? Some of the dishes need rethinking. I have been to The Corner enough times now to know that this is something that needs attention. 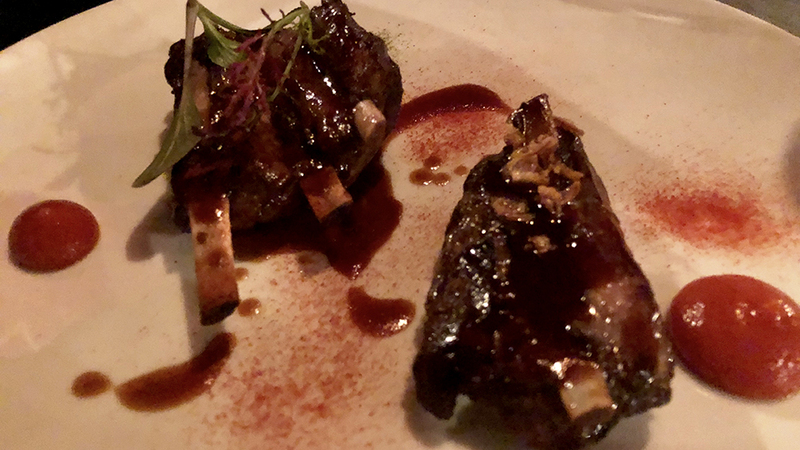 For example, on this night, the pizzaiola wild boar ribs; the mortadella tortello, white pizza and pistachios; and the rigatone in oxtail sauce were all decent, but ultimately less than what they should have been. The pizzaiola sauce was too scarce, thick and savory, so the dish tasted dry and salty; the tortello was also a little on the dry side; and the oxtail sauce was also too concentrated and lacked lift. The wine list also needs work. I understand and accept that people enjoy natural and macerated wines, but to have a list that is top heavy on those wines greatly limits a diner’s choices and that is in my book a major black mark on a dining establishment, at any level. If The Corner wishes to emphasize these styles of wine, that is perfectly fine, but it would be fairer to make this known in advance so that diners know what to expect. On this night, though, the wines were solid. The 2016 Tenuta San Francesco Costa d’Amalfi “Per Eva” is a lovely white wine from Campania’s beautiful Amalfi coast. This blend of Falanghina, Ginestra and Pepella varieties is fresh and saline, with sneaky concentration and a lingering perfumed back end of white flowers, marine breezes and fresh citrus fruit. Owner Gaetano Bove’s vineyards are located in Tramonti, in a fjord-like indentation of the Lattari Mountains that slope down to Maiori and one of the world’s most beautiful seas. Nebbiolo lovers never tire of a good Boca, and I am totally in their camp. The 2012 Barbaglia Boca is a good example of what the denomination is all about, though the warmer 2012 vintage has given us a thicker, darker than usual mostly-Nebbiolo wine (this is 80% Nebbiolo and 20% Vespolina). Aged three years (two of which in large oak barrels) before release for sale, there is a likable rustic charm to this that just begs for hearty stews and rich meat preparations. Vinous readers know of my love for Italian native wine grapes: what they might not know is that I have been diligently and extensively studying the native grapes of France for the past twelve years too. And so it is that I never let a chance to sip on a Romorantin wine slip by. 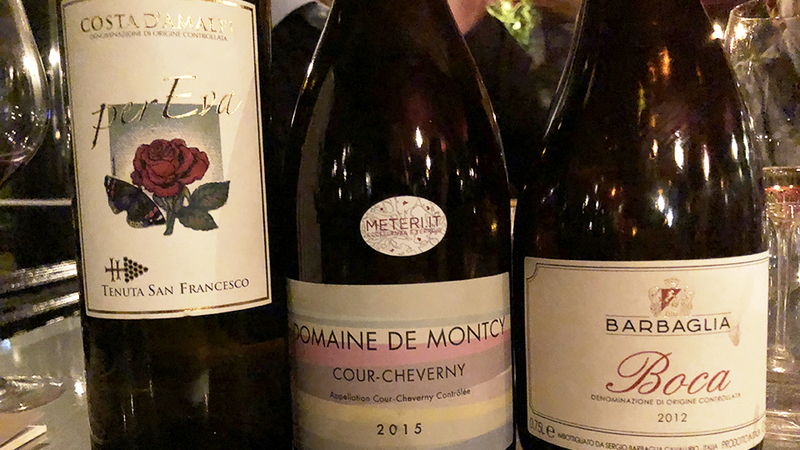 The 2015 Domaine de Montcy Cour-Cheverny Romorantin (the wine’s name is actually Cour-Cheverny, similarly to Barolo or Brunello di Montalcino) is made from mostly old vine (ranging between 10-60 years of age) Romorantin, a local native French grape that is being grown and nurtured in the Loire Valley. The grapes grow on clay-sandy soils and the wine is made with minimal sulfur use and with indigenous yeasts only. The 2015 is rich and thick, with obvious elements of iodine and medicinal herbs – a powerful white wine with plenty of freshness and saline bite to stay fresh and interesting. It can easily stand up to white meats and spicy preparations such as curries. I have been at The Corner three different times in the last few months. There are some glitches to work out, but also noteworthy potential lurking beneath the surface. Chef Marco Martini is a true talent and the competent, mostly young staff seems eager to please. My money is on the team being able to make the changes necessary to turn this place into one of Rome’s more enjoyable dining spots. The Corner already has a lot going for it.